The varying shapes of chips give a unique attractiveness and fashionable flair to these beautiful dangling genuine stone chip earrings. 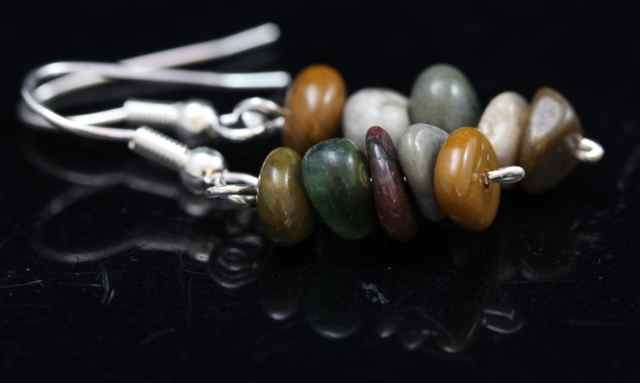 These classic earrings are made from natural stone chips, dangling from silver plated ear wires. Each earring is layered with multiple stones and measures approximately 20mm. Please note, each pair will differ slightly due to the differences in each stone chip. Labels: chip earrings, crystal earrings, crystal jewllery.